« Our new Maths sessions! We will be holding a all day Google Digital Garage Event here at MPAC 1-27 Bridport Street on Tuesday the 29th November. 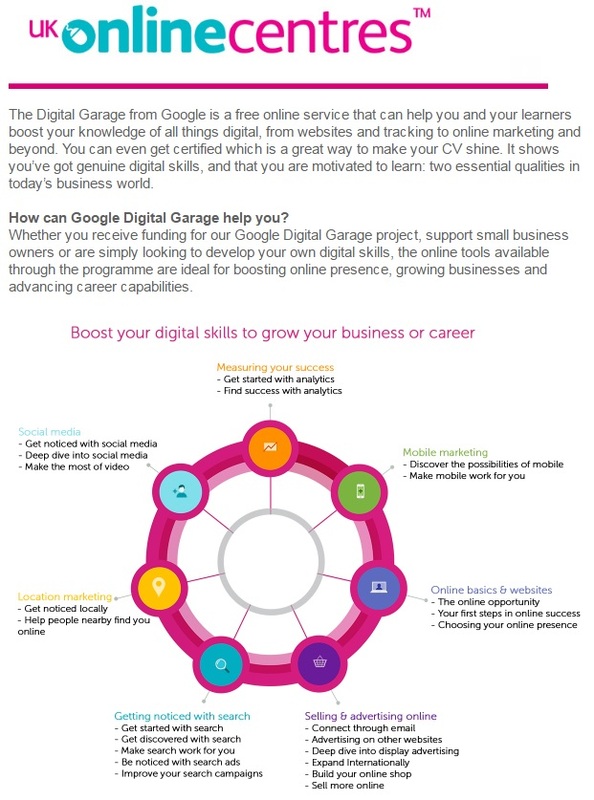 Google Digital Garage is a great way to boost your online presence for your small business or to just develop your online skills! This entry was posted on Wednesday, November 2nd, 2016 at 10:20 am	and is filed under Events. You can follow any responses to this entry through the RSS 2.0 feed. Both comments and pings are currently closed.